Now the Federal Communications Commission is auctioning off those same airwaves to wireless companies like AT&T and Verizon seeking more bandwidth for mobile data in the ongoing broadcast incentive auction. Though the auction — which has been going on for the past six months — may not reach its loftiest early projections, spectrum held by public TV stations is still likely worth billions, with state governments, local school boards, university trustees and other station owners each likely raking in tens or even hundreds of millions of dollars for taking their stations off the air. The use of public airwaves has always come with public obligations. But nobody seems to be asking what the people are getting back in the deal. Whatever happened to “enlightenment of all the people”? Imagine if instead of cashing out, these station owners invested a significant portion of the auction revenue in a public fund to confront the crisis in journalism and support responsive local news, serious investigative reporting and public and community media of all kinds. What if they used the money to set up cutting-edge investigative newsrooms in cities across the country? Or built new tools to help the public sort through data and public records? Or leveraged it to support community-engagement efforts to attract and grow new and diverse audiences? What if we saw the auction as a once-in-a-lifetime opportunity to reinvent public media and safeguard journalism’s future? That’s how we see it at Free Press, and that’s why we’ve launched a new campaign — starting in New Jersey — to build the public pressure and political will needed to redirect and reinvest some of the spectrum-auction money to meet community-information needs. Current has put together an excellent guide covering almost everything you might want to know about how the spectrum auction works. In the auction’s first three stages, the differences between sellers’ prices and buyers’ bids were vast. In the next stage of the auction, which is expected to begin Dec. 13, the FCC will attempt to clear 84 MHz in each television market, the equivalent of channels 38 to 51 on the dial. While analysts initially predicted that public stations alone could fetch as much as $6.8 billion from the auction, it’s now expected to be far less — although public stations in the largest markets should still be very valuable. Most observers expect the auction to be completed by early next year, though it will take longer for the FCC to relocate stations and distribute payments, a process that will stretch well into 2017 or possibly beyond. While all of this has been going on, the auction itself is a bit of a mystery: The rules prevent participants from revealing their bidding strategies. Stations aren’t required to say whether they’re participating — but they’re not prohibited from doing so, either. 54 public TV stations had entered the auction. 87 stations were sitting it out. 40 stations responded but declined to tell us their plans. Most of the stations that refused to answer our questions cited the FCC’s anti-collusion restrictions, though the agency’s rules clearly allow stations to indicate whether they’re participating. Even after Free Press researchers explained they were asking only for information that would not violate the FCC rules, many stations claimed our interpretation was incorrect — or said the station had chosen not to share any information out of an overabundance of caution or in response to edicts handed down by legal departments or university higher-ups. Free Press is kicking off our advocacy efforts in New Jersey, where the state owns four public TV licenses that the FCC estimates to be worth as much as $2.3 billion. The stations are currently operated by New York’s WNET under an agreement with the state, which otherwise eliminated funding for public media and sold off its public radio network under Gov. Chris Christie’s administration. Both NJTV, which operates a multimedia newsroom in Newark, and the public radio affiliates now run by WNYC and WHYY continue to produce notable journalism about the state. But between the funding challenges in public media and the severe cutbacks on the commercial side — including hundreds of layoffs at North Jersey’s The Record this fall after Gannett took over the paper — New Jersey receives little coverage of important civic matters compared to its neighbors. The auction is an opportunity to reverse this downward spiral and make the state a model for the rest of the nation. By devoting a significant portion of the proceeds from the sale of one or more of its licenses — let’s say $250 million — New Jersey could endow a permanent public fund devoted to serving the state’s community-information needs for decades. With just a portion of the auction proceeds, cutting-edge digital newsrooms could be built focused on local issues and underserved communities. We envision the fund as created by but independent from the state government. Under a diverse board of civic and cultural leaders, it would operate as a charitable foundation, handing out grants to worthy local projects in the state. With the more than $10 million that could be released from such a fund each year, New Jersey could support in-depth reporting projects, seed hyperlocal startups, build new data-crunching tools and boost engagement between newsrooms and the communities they’re supposed to serve. The public must help set the priorities for such a fund, with an open process for funding designed to ensure editorial independence. New Jersey residents could no doubt come up with dozens of superb uses for such a fund. The urgent task is to invite those ideas, distill them into a proposal, and build the public and political will to demand the fund’s creation. Create a public trust fund with a significant endowment and, within a couple of years, it is easy to imagine the information needs of New Jersey residents being met as never before, both by investments from this trust fund and other investments that its activities would leverage. That’s the effort Free Press has started in partnership with the network of groups we’ve worked with as part of our “News Voices: New Jersey” community engagement project, supported by Democracy Fund Voice, the Geraldine R. Dodge Foundation, the Carnegie Corporation of New York, the Community Foundation of New Jersey and others. WYCC-TV on the South Side of Chicago, owned by local community colleges, which could be worth as much as $473 million. 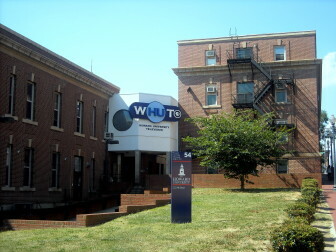 WHUT-TV, licensed to Howard University in Washington, D.C., and the country’s only black-owned public broadcasting station, which could be worth as much as $460 million. Some of these stations are held by publicly accountable institutions like school boards; others are public stations owned by private institutions. All have an obligation to serve the public — and instead of shutting down, they might have the opportunity to leave behind something even better. The stations are unlikely to realize these maximum-bid prices, but each could still attract hundreds of millions of dollars. With just a portion of the auction proceeds, cutting-edge digital newsrooms could be built focused on local issues and underserved communities. Recall that it took $50 million to launch the Pulitzer Prize–winning investigative news operation at ProPublica. Imagine what a similar level of funding — which would be just a fraction of the money the auction generates — could do for local journalism in cities like Chicago, Denver or Washington. Each community has its own unique information needs. We hope that by partnering with local allies, including public media stations, we can implement countless other ideas that could support strong local journalism and greater community involvement for decades to come. As part of our ongoing efforts in New Jersey, we’re convening community forums to explain the idea of a trust fund and hear people’s thoughts on how it could be used. We’ll pair our public dialogues with more traditional campaign-style efforts and direct lobbying to build awareness and create political pressure to act. The most disappointing outcome would be for states, local governments and universities to use all the auction proceeds in one shot to patch up their budget holes. It doesn’t have to be that way if we act now. This idea is ambitious, and the timeline is tight. If we work together, we can seize on the biggest opportunity for public investment in the media since the creation of the public broadcasting system in the first place. Craig Aaron is the president and CEO of Free Press and the Free Press Action Fund. Visit NewsVoices.org to learn more about the group’s engagement and advocacy efforts around the spectrum auction and the future of journalism. Correction: An earlier version of this commentary mistakenly said that in the fourth round of the spectrum auction, the FCC will attempt to clear the equivalent of channels 37 to 51 on the dial in each television market. The correct range is channels 38 to 51. WCMZ will go dark in about three months. Channels 38-51 not 37. 37 has never been used for TV and never will. it’s set aside for radio astronomy. Thanks for pointing that out, Mr. Balsaq. We have corrected the error. LOL. Typical liberals, always looking for a handout. You are not getting ONE DIME to support your left-wing, biased “journalism”. Not ONE DIME. Pingback: Can charity help print journalism out of its dipping finances?